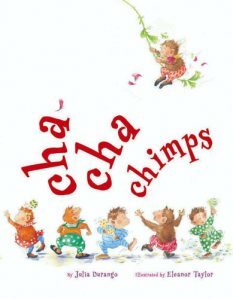 Like the Bojangles book Rap A Tap Tap (which I blog about here), Cha-Cha Chimps has a refrain on every other page that lends itself to audience participation. 10 little chimps do the cha-cha-cha. Use the refrain to talk about even versus syncopated rhythms (and even versus syncopated shuffles in a shuffle hop step, for instance). 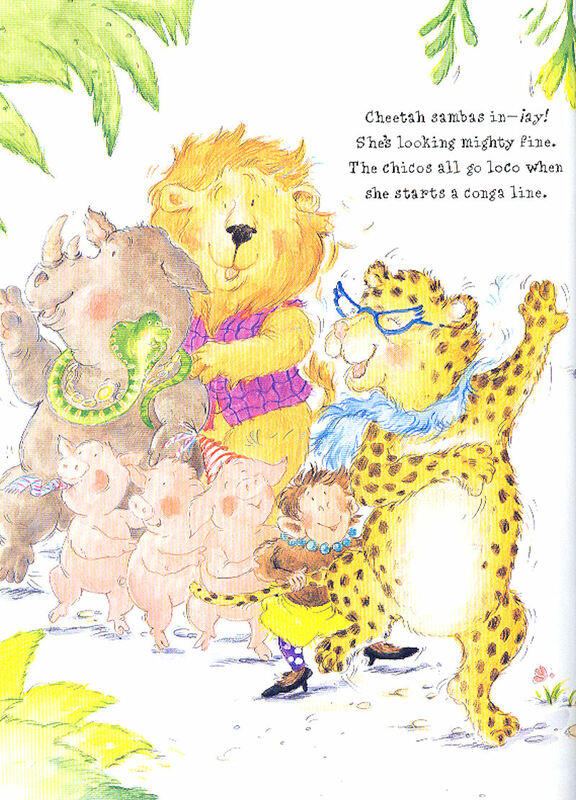 Try reading with both the even and the syncopated rhythms of “ah-ah-ah”……a.k.a.